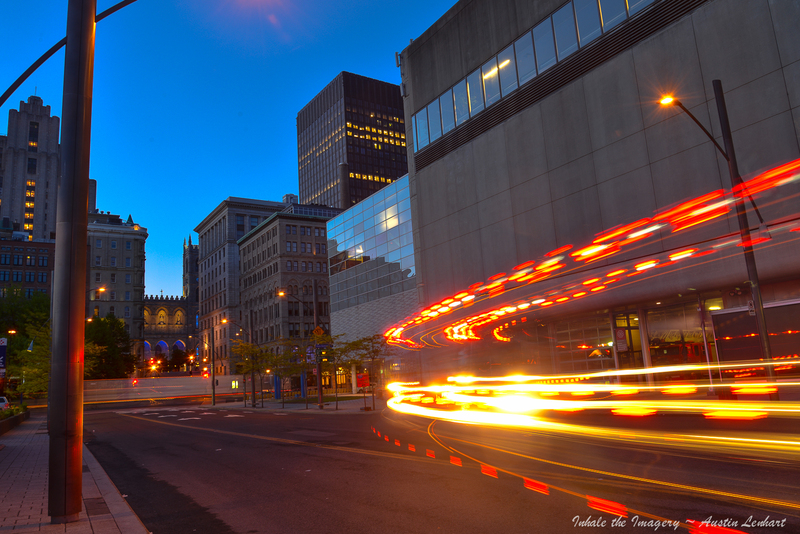 Up very early morning…downtown Old Montreal heading towards the Notre Dame Basilica at Place d”Armes (seen in the background); listening to quiet city sounds when thought was interrupted by old-fashoined school-bell sound. It was to alert the Montreal Fire Department of an emergency. I quickly set up: low ISO, f/11 aperture; pushing shutter speed into the seconds. In turn I caught the light-travel of some of the heroes of Montreal.